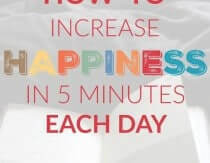 Heather Dessinger 202 Comments This post contains affiliate links. Finding My Credit Card In The Nut Butter Jar? Funny. Hearing a child shout “What’s the PASSWORD?! ?” while trying to unclog a paper filled toilet? Also funny. Babysomnia? NOT FUNNY. As all moms know, there comes a point where the dream of flowers and chocolates is tossed aside for a comfy pillow and – if our spouse can make it happen – the gift of two hours of uninterrupted sleep. Maybe even thirty minutes. Romance isn’t dead, folks. If you are nodding your head right now, this post is for you. A few months ago, I asked you on Facebook what three things you needed more of in your life. For many of you, at least one of the answers was sleep. (For some of you, it was all three!) In this post I’m going to review intelliBED, which is the mattress I bought early this past summer. More importantly, though, I’m going to talk about the science of sleep and why this decision ended up being more important than I realized. Let’s start with the basics: How many hours of sleep do you get most nights? Eight? Seven? Less? If your answer was less than eight, consider this: In one study conducted by The University of Pennsylvania, researchers divided sleepers into three groups: those who got eight, six, and four hours of sleep. Not surprisingly, the eight hour group did well on cognitive tests. The four hour group? They scored like a company of blindfolded archers trying to hit a pea while the sky rained down angry ferrets. So getting enough sleep is obviously important. But it’s not just about getting sleep – it’s about getting deep, healing of sleep. What is healing sleep? 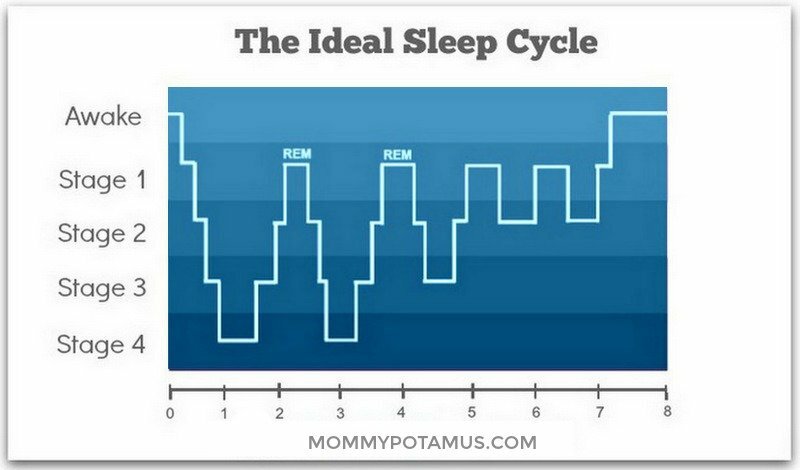 As you can see in the graph above, there are four stages of the sleep cycle: REM (which is the stage we dream in), Stage 2 (light sleep that produces fast brain waves), and Stage 3 and 4 sleep, also known as Delta sleep. Delta sleep, which is characterized by high-amplitude, low-frequency delta waves, is when your body does most of its healing work: releasing human growth hormone, repairing tissue, stimulating the production of new cells, etc. This time of rejuvenation is associated with improved memory, decreased depression, and improved immune, nervous and digestive system function. Back when I wrote about my ideal mattress criteria, I was mostly looking for a non-toxic solution. When I finally found one I wanted to try, I called the company, intelliBED, to ask some questions. What I learned during that conversation is that there is much more to restorative sleep than I’d realized. IntelliBED uses a patented gel-matrix that reduces pressure on our hips and shoulders, thus in many cases extending the time we can stay comfortably in deep, healing sleep. Using a medical grade pressure mapping system, they recently recorded what happened when the same person laid down on four types of mattress. Anything over blue signifies enough pressure to cause an individual to need to move within five minutes. If you frequently shift your weight while you sleep, you may not be getting enough of the deepest, most restorative levels of sleep your body needs. IntelliBED uses a gel matrix called isoflex(r) that is used in hospitals to cushion severe wound care patients. IntelliBED is the only company that has obtained a license to use this gel in commercial products, and that’s what makes them different. Here’s an overview of the bed from Dr. Robert Troell, a Stanford educated surgeon who is also board-certified in sleep medicine. So I set out to find a non-toxic mattress but ended up with a super-comfy bed that has improved my quality of sleep. Does that mean I settled for something with questionable materials? Nope. According the the Journal of Exposure Science & Environmental Epidemiology, chlorinated tris and other chemicals are now being detected in the dust found in homes. Babypotamus decided to demonstrate my point about babies sleeping with their faces smooshed against the mattress by taking a nap during my photo shoot. When I set out to buy a non-toxic bed, I was certain that I wanted a natural or organic mattress. However, as I researched I learned that certain natural materials don’t distribute a person’s weight across the surface of the bed like intelli-Gel, nor do they support the recessed areas of the body. IntelliBED has really done their homework when it comes to they materials they’ve selected – they use a green fire blocker, and the rest of their materials are hypoallergenic, non-offgassing and Certi-Pur certified. Unlike the “new bed smell” I have experienced before, my new intelliBED had no chemical smell at all fresh out of the box. I am incredibly chemically sensitive (to the point that I get nauseous when a house is freshly painted even with zero VOC paint), but I mashed my face into the mattress and could not smell a thing. I spent a comparable amount to the intelliBED ten years ago when, as newlyweds, Daddypotamus and I invested in a top-of-the-line memory foam mattress. It smelled strongly of chemicals when it arrived – in fact, we had to leave the windows open in the bedroom for several days before I could even sleep in there without becoming nauseous. Looking back, I believe that bed contributed to the health issues I developed as a newlywed. It wasn’t the only factor, but it certainly didn’t help. But back to durability. Yes, we got ten years out of that bed, but I didn’t get my money’s worth for that entire decade. No way. If I had known what I was doing, I would have replaced that mattress five years after purchase. That’s when it really started to feel different. The memory foam felt like a different mattress with each successive pregnancy. I was pregnant with Katie two years after purchase. Micah came along three years later. And baby Levi appeared three years after that. During the last few weeks of my pregnancy with Levi, I was experiencing so much pressure on my hips that I began waking up with bruises on my hips! I had to make a conscious effort to wake up and turn more often. Since the goal is deep, restorative sleep, it would be good to know how long a mattress will last in its ideal condition, and then divide the cost of the mattress by the number of years and/or months of optimal condition to determine the cost of a really good sleep. At somewhere in the ballpark of $3,600, my queen-sized memory foam really cost me $720 a year. And that includes all the noxious fumes I had to breathe during that time. That’s a pretty big cost for such a significant downside. Our king-sized intelliBED 30 Deluxe, while it runs about $3,500 for the mattress, is warrantied to last in optimal sleeping condition for an unheard of 30 years! That’s $116 per year for optimal, non-toxic sleep experience. We’ve already covered the cost of this year by what we’ve saved in chiropractic visits. There is ONE way in which my old memory foam mattress was better than my current intelliBED. My intelliBED mattress moves a little more when I get in and out of bed. I have to move carefully in order not to wake my husband, but I feel so much more comfortable with the material used in this mattress, and the cushioning and support we’re getting is so much better that the trade-off is worth it to me. IntelliBED co-founder Sean Clark and I recently chatted all about sleep wellness, and though the replay video was initially lost due to a YouTube glitch, they were eventually able to recover it. Thanks, YouTube! In this interview we go into more detail about the materials used in intelliBED’s mattresses, and I also share some tips I’ve found helpful for getting better sleep at night. Why would a mattress need a fire retardant? Is it suddenly going to burst into flames? Is it for people who smoke in bed? Because if there is a fire in the house I’m planning on getting OUT, not hunkering under my fire retardant bed! That’s actually what I thought too. I like sleeping on my back, I wouldn’t mind sleeping on a tatami goza mat. How I wonder, did pregnant women sleep? Did they sleep on their backs or on their side and how did they stay comfortable? I wondered the same thing about how people used to sleep! Based on my conversations with intelliBED co-founder Shawn Clark, people used to sleep on cotton mattresses with metal springs. Sean says they were non-toxic and pretty good overall, but they can’t be sold anymore due to regulations that require fire retardents. Not sure what people slept on before that. My guess is that the materials varied: feathers, hay, cotton, etc. In a nutshell, this was prompted by people smoking in bed and falling asleep. Cigarettes are the main concern. However, the chemicals used to make beds “safe” have been linked to a variety of different health problems. To date, there have been over 4,000 studies on PDBE’s alone. Here is a list of hundreds of references regarding the negative health impacts of flame retardants. Wow. So the few people that smoke in bed get to dictate how mattresses are made? Could a petition be started to get rid of the flame retardants? Nice! Hopefully if they change the mattresses, they’ll do it for the whole country and not just CA. Hi, I grew up in New England, sleeping on or family heirloom beds. The mattresses were made from horsehair. I remember looking at the inside of these mattresses once my mom got “with it” and had custom made modern mattresses. (standard ones did not fit the shape/size of our beds). It appeared to be made from the mane and tail hairs. They were black…and the mattresses were FIRM! No fumes!! On the floor using a homemade thick mat. MY GRANDFATHER DIED IN BED–WENT UP IN FLAMES SO FAST THAT HE DIDN’T EVEN HAVE TIME TO WAKE UP–MATTRESSES USED TO BE VERY FLAMABLE. ADD THE FACT THAT YOU ARE SOUND ASLEEP AND THERE IS A PROBLEM THAT GETS OUT OF CONTROL BEFORE YOU EVEN NOTICE. YOU SHOULD NEVER HAVE ANY FLAMES OF ANY KIND GOING WHILE YOU ARE ASLEEP. I AM ALL FOR NO CHEMICELS–BUT IF NEEDED FOR FIRE SAFETY–IT IS WORTH IT! Nice article! Ben Greenfield did a similar article a week or two ago that was along the same lines though he goes a little more in depth/nerdy with the research (eg the flame retardants). I don’t know that I’ve ever seen an angry ferret before….lol. Thanks for the review. Does intelli bed eccept insurance? I just talked to them and they don’t. But heres to hoping for insurances to start working with them. Bummer! I do know that in some cases it is a tax write off. Insurance has covered the purchase of their mattress under durable medical equipment but you would need to contact your insurance company and figure out the process and if it is covered. mattress but did not know about the toxins. Hi Diane, that’s a great question. I know Shawn at intelliBED says that the topper can be used if the bed underneath provides enough support. I’m not sure if the one you bought would qualify, but you could call them and find out. There is a cover you can wrap around your mattress to reduce off-gassing. I think it’s called a Bebe Safe cover. It’s pretty noisy and in my experience makes the bed more uncomfortable. However, if it were me I might wrap the mattress and then put the topper over it. Oops, Heather you already replied before my page refreshed. Yes, they are loud. Personally, not uncomfortable, but loud. Will be calling this company. What do you think about Naturepedic’s line of mattresses? I like that they use a spring unit as a foundation since that is key for proper spinal alignment. My reason for not going with them is that the material doesn’t distribute a person’s weight across the surface of the bed like intelli-Gel and it doesn’t support the recessed areas of the body. 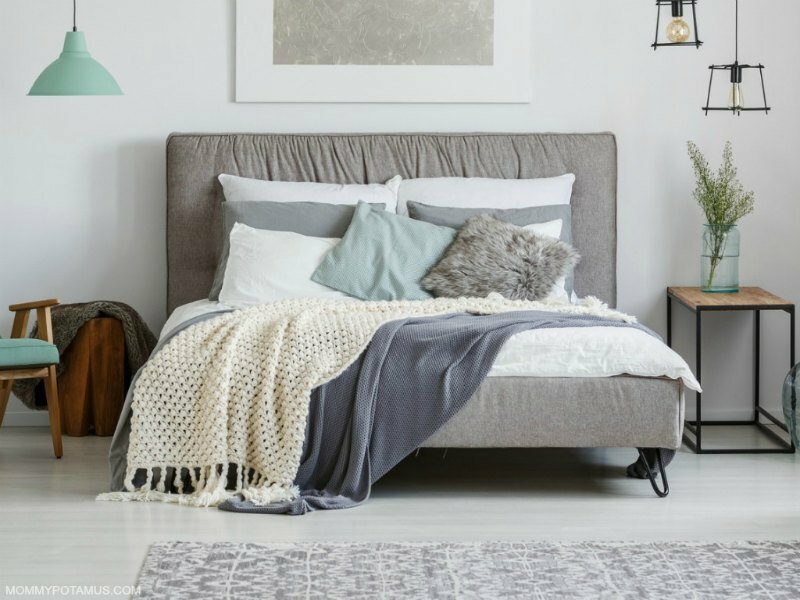 When I set out to buy a non-toxic mattress I was really only looking at material, but along the way I came to believe that bed’s ability to relieve pressure was just as important as what it is made of. Less pressure means we can stay asleep in the same position longer, and hopefully stay in those deep levels of healing regenerative sleep once we’ve reached them. Our lives are so full of unavoidable stressors these days, it seems to me that it’s more crucial than ever to make sure we get the best sleep possible. When I evaluated things, I looked at the long-term environmental cost of each mattress and felt that, even though intelliBED is not “natural” it, it is non-toxic and is the best choice for me. I don’t think our bodies were meant to stay in a single position during sleep. We evolved sleeping on firmer surfaces and our bodies need to change positions during sleep so our joints remain mobile. It’s during joint movement that the cartilage receives nourishment from the joint fluids. Modern mattresses and pillows keep our bodies cradled in the same position and that is actually not healthy. Any thoughts on the Pure Echo from My Green Mattress? Thinking about buying thiese for my kids! Thank you. Can you tell me how long the 10% discount will be available? When does the free mattress cover promo end? I bought the full size mattress for our son for when he’s ready to transition to his new room in a few months. I’ve been sleeping in that room since we got it and my back (I’m 36 weeks pregnant) is no longer stiff and painful in the morning 🙂 Now I just need to convince my husband that we need the king! Natalie, I think it already ended but they might make an exception for you since you actually did order during the promo period. So happy to hear you’ve noticed a difference! Hi, thank you for all the great info! I would also like to know when the free $90 mattress cover will expire. I entered in the promo code at checkout but it only took off the 10% discount. Can you explain why Soy Foam is listed in the materials on their website. In my understanding, this is not very natural and is pretty controversial in the natural world. Thanks! That’s a great question, Tara. You can custom order an intelliBED to come with tallalay latex instead of soy foam, but it’s a costlier material so it increases the price. Based on what I’ve read from independent sources, it’s my understanding that the soy foam intelliBED uses is inert/non-offgassing. The issue with most soy foams is that manufacturers add different chemicals to change the properties of the foam for various reasons (like to make it memory foam instead of just foam). IntelliBED doesn’t add those chemicals, and soy foam only makes up 10% off their mattress materials at the most. From my personal experience, I can say that my new intelliBED had no chemical smell at all fresh out of the box. I am incredibly chemically sensitive (to the point that I get nauseous when a house is freshly painted even with zero VOC paint), but I mashed my face into the mattress and could not smell a thing. “And although our intelli-GEL is neither natural or organic it is, however, the safest martial we have ever seen used in a mattress. Unlike the natural, organic materials sometimes used in mattresses (like straw, latex, wool, horse hair, feathers) intelli-GEL is 100% non-toxic, hypoallergenic and anti-microbial meaning that bacteria doesn’t grow on it. It is also up to 80% more pressure relieving and the most durable part of our bed. intelli-GEL’s main ingredient is unscented baby oil and it’s approved for use in children’s toys and pacifiers. Yes, I have! I am super picky about my pillows and I’d been clinging to an old down one for longer than I can remember, but I finally gave it up for the intelliBED pillow. My husband has the one specifically made for side sleepers and he really likes it. I hope you love your bed as much as we love ours! Just wanted to check back in and say we LOVE our Intellibed 20! I still would love to try the 30 some day, but as the 20 was within our budget, we bought it and are very happy with it after about a month so far. The only downside, as you said is the bounciness of it, but because it’s so comfy, we only bounce a little for less than a minute to fall asleep and then we NEVER wake up (unless the baby/kids wake us up 😉 from each other moving. We’re so happy with our bed, thanks again for the review! YAY! I’m so happy to hear that, Tara! I’ve been mattress-obsessed since I was pregnant with my first, and had us sleep on a bunch of different style mattresses, depending on the budget and time in our lives. When I was pregnant most recently I bought a natural topper – if I had known about this company I would have bought this one. Ligament loosening in pregnancy is great for getting the baby out, but isn’t so awesome for an uncomfortable bed! Wondering what your thoughts are on a latex mattress? There are so many different types of latex on the market. Latex, as long as the proteins are completely washed off/removed, is one of the best foams available. That being said, it is my understanding that it still has the same attributes as any foam. In general, it is either going to be firm and some what supportive or soft and not able to hold you in proper sleep alignment. However, intelliBED’s Relief Perfect does have latex combined with the intelli-Gel and, though I have not tried it, based on my understanding of their technology it does both. I didn’t find it when I started researching a few years ago, either. I think they started working mostly with healthcare professionals and it took awhile for word to get out. Thanks for sharing! Its nice to hear what other people have used. I can’t wait until we can get a new mattress! How does this need for deep sleep apply to us breastfeeding, bedsharing moms who sleep lighter because our babies are with us? I’ve had a baby (or 2) with me for 2.5 years. Is it bad for our health, or does motherhood and sleepless nights give you a free pass for a few (or ten…) years?? I’ve co-slept with all three of my littles so I’ve asked this question often. I enjoyed your post. But still perplexed on this issue. . .foam made of “baby oil” is af oam made of petrochemicals. Why not choose a bed that is made of natural materials?. . .like wool, etc. Thanks for your question, Lois. As I mentioned above, my reason for not going with certain natural materials is that they don’t distribute a person’s weight across the surface of the bed like intelli-Gel, nor do they support the recessed areas of the body. Someone asked about latex above. I like the real latex beds from Habitat Furnishings. They use wool as a fire blocker and it meets federal regulations. I’m pretty sure there is no boric acid or silica in those beds. And no off-gassing. They are extremely comfortable. What about suggestions for best non toxic crib mattresses? I’m having the hardest time finding a true non toxic crib mattress!! The intellibed site also has a crib mattress, FYI. I am wondering your thoughts on the gel being made of food-grade mineral oil. Isn’t that a petroleum product? Is that safe? Also, what about soy foam…is that safe? And what about EMF issues being increased with spring coil mattresses. We are currently researching for a new mattress, and as my husband is allergic to dust mites, we have been leaning away from coil based mattresses because they harbor dustmites to a great extent. I like the website’s info about relieving pressure and about the durability as compared to latex foam mattresses, but I am still concerned about the mineral oil in the gel and the EMF/dust mite issues with the coils. Thank you for your review. I usually find your information to be very uncompromising on safety/health issues so I highly respect your opinions on these points. Megan, these are great questions. I can’t write out a full answer right now, but I will soon! Okay, back to answer your questions as best I can. As I mentioned above, my reason for not going with certain natural materials is that they don’t distribute a person’s weight across the surface of the bed like intelli-Gel, nor do they support the recessed areas of the body. You can custom order an intelliBED to come with tallalay latex instead of soy foam, but it’s a costlier material so it increases the price. Regarding the coils, I am not overly concerned because I take other steps to reduce EMF exposure. We don’t have wifi, but when we did we turned it off at night, plus we don’t keep a lot of electronic devices plugged in near our sleeping environment. It’s possible that those who are highly sensitive to EMF’s might do better with a different mattress, though. Heather, Thank you so much for your reply! I appreciate your insights! I heard about itelliBED from the Green Smoothie Girl website a year or two ago, and it’s nice to see another “natural guru” reviewing the company. I’ve been fascinated from the beginning, and reading your post makes me want to plan on getting an intelliBED mattress when we replace our memory foam mattress that we purchased a couple years ago. I do turn often in the night, and didn’t realize how much it must be disturbing my sleep. Thanks for all the helpful information! I’m so glad you did these posts on Intellibed; it was perfect timing for me! I just ordered my mattress today and can’t wait to get it. I too thought you had to choose between a supportive mattress or a non-toxic mattress. I’m so glad to have the best of both worlds! Hi Ali, those are great questions. 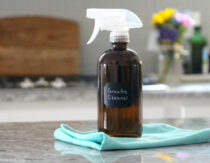 The words “natural” and “non-toxic” are often used interchangeably, and for the most part that is accurate. However, there are exceptions. For example, lead is natural and not safe, and high-quality silicone baking mats are man-made and inert (safe). Based on my research, I believe the materials used by intelliBED are inert, aka non-toxic/non-offgassing. Though generally I prefer to use natural materials and could have replaced the soy in my mattress with natural latex, it increased the price significantly and it wasn’t in my budget. Like you I don’t take anyone’s word for what is/is not safe, so I encourage you to look into the materials intelliBED uses. They disclose everything they use on their website. Any allergy friendly comforter you suggest? I heard silk comforter is hypoallergenic, but not sure if they have flame retardant on them or are a safe and natural alternative. While this is a good promotional article for intelliBED, it is entirely untrue in regards to all beds requiring flame retardants (you state Federal regulations require that all companies use some kind of fire blocker in their mattresses). I am not sure where you got this information but it is wrong. There are organic beds made by various companies such as White Lotus, Naturepedic etc. that do not contain any flame retardants. Please don’t sell out just because you get free stuff from places, this isn’t in line with what you seem to stand for. Hi Jen, thanks for your comment. Before I address some of the things you mentioned, I want to clarify that I was not given a free bed. In fact, earlier this year I was offered a free natural bed by another company and I turned it down and purchased my own from intelliBED. I only recommend products that I personally use, support and/or would recommend without an affiliate link. I think a discussion on the merits of many types of mattresses is healthy and good and I want it to continue here, but I hope I will be given the benefit of the doubt regarding my reasons for sharing my recommendation. Simply put, I wrote about it because I felt it was the best choice I could make for my family. Regarding the points you brought up. In 2006 the U.S. Consumer Products Safety Commission (CPSC) approved a federal regulation (16 CFR 1640) that created a mandatory national flameproof mattress standard, which requires that all new mattresses be able to withstand an open blowtorch flame test for 70 seconds. http://www.cpsc.gov//PageFiles/95861/mattsets.pdf. Most companies meet this requirement by using chemical flame retardants. While it is possible to get a bed without flame retardants with a doctor’s prescription, every bed that is sold directly to the public has to meet federal standards. At least one of White Lotus’ mattresses requires a doctors prescription, as they say on this page: http://www.whitelotus.net/organic-cotton-mattress-no-flame-retardant.html, and I believe others use natural materials as fire blockers so they can be bought without a prescription. Naturepedic is using natural materials (I believe cotton) to meet the standard as well, and intelliBED which uses silica. Do your research people – these beds aren’t anywhere near natural!! For actual 3rd party reviews of multiple manufacturers check out http://www.themattressunderground.com. He posted a review on this manufacturer that shows how sketchy they are!! I’m pretty sure that Mommypotomus deleted my FB comment on the subject (as it wasn’t in the thread when I went back to see if she responded) so I’m pretty sure that not many people will see this but the truth should get out there!!!! Kathy, I do not delete comments unless they violate my comment policy (abusive language, etc.). This community always has been and will be a place that welcomes respectful dialogue. However, I just checked and it is true that your comment was not visible. Page managers have the ability to create an approval process with respect to links and keywords, and I have chosen to moderate due to problems with spam. For that reason, Facebook sometimes hides things it thinks might be spam so that I can take a look at them first. With up to 20 active threads going on at a time, I sometimes miss a comment that needs to be approved. I just approved yours but can’t hop over to respond right now because I’m preparing to attend the Weston A. Price Conference with my family. We’re busy getting things in order on the homestead, but I’ll try to respond later on. Thanks for your patience – I’m not always able to be as engaged as I’d like, especially with detailed responses. Regarding your comments here: The words “natural” and “non-toxic” are often used interchangeably, and for the most part that is accurate. However, there are exceptions. For example, lead is natural and not safe, and high-quality silicone baking mats are man-made and inert (safe). Based on my research, I believe the materials used by intelliBED are inert, aka non-toxic/non-offgassing. Though generally I prefer to use natural materials I feel there are some very unique benefits to intelliGEL regarding sleep quality, and for me that played a factor in my purchase decision. sorry if I missed this answer but what version of mattress did you get? You said you still feel partner movement with yours. I was looking at the 30 version. I definitely need a new mattress! Ours is so old and very uncomfortable now. Thanks for all the information! Thank you so much for your recommendation! I have been dealing with chronic back pain for quite some time now and have finally been able to sleep for more than 4 hours per night! Thank you!!! I am leaving a comment because I am SO excited. I was telling my husband about these mattresses and sent him the link to your articles about SIDS and toxic mattresses. We are expecting our 7th child and in between these babies we had bought a memory foam mattress which, after reading your articles, I was a bit worried about with the new baby. I have also been having the roughest time sleeping with this pregnancy because our memory foam has developed a “hole” or indention where I sleep that is driving me crazy. Well, he surprised me by ordering one of the intellibed mattresses on Friday! The company was really great telling him that people coming off memory foam mattresses usually have the hardest time adjusting so if we do our 60 day trial and are still not feeling great about the mattress, they will extend for another 60 days just so we can try a little longer. I really think we will love the mattress though – anytime we go out of town I find that I really enjoy sleeping on any mattress other than my home one! What about a natural rubber mattress? Wool meets the flame retardant guidelines and rubber would act similar to the intelligel. I’ll chime in here. I love our organic latex mattress with a wool cover. It was not sprayed by any chemicals or flame retardants… Also I prefer the idea of supporting and sleeping on something closer to natural than the silica gel bed (just me). Our baby slept on it face down too (didn’t like to back sleep). I 100% support everyone purchasing an organic latex mattress with a wool cover. We just purchased the Relief Perfect! Do you know if that will be safe for co-sleeping? I know the sleepnumber is not non-toxic, but just wondering if anyone out there has switched between the sleepnumber and this one? We have had our sleepnumber for about 10 years and really love it. But it is falling apart and I would like to get a king now that we have a twins on the way and plan to cosleep with them as we did with our 3 year old. I’m not sure DH will go for it because we really have loved our sleepnumber. Would love to hear what others think. Sleepnumber beds before 2005 may have black mold issues on the bladder and memory foam. I bought mine in 2003 and just discovered the BM in mine. The co is great tho. They’ve offered to replace or refund. They could not supply a bed w/o FR so I’m taking the refund to replace w a non-toxic one. Hi, I was wondering about the “feel” of the intellibed. I have read certain reviews about feeling a hardness underneath when the gel collapses when rolling over or laying on the side. I have also read there is a crinkly feel to it. Have you found this to be true? Thank you for all your research into this topic. We have been sleeping on the relief perfect for about two weeks now and my husband and I are constantly on the move at night! This is the firmest bed ever. We are trying to give it the 30 day chance, but we are both getting more hip and shoulder pain. I’m wondering your thoughts on this. I got this version because of hip and shoulder discomfort, but it seems to be creating more of a pressure problem. Heathet, did you experience a hard time at first with your mattress? I want to know the claims that intellibed materials are non-toxic come from the company, or have you verified them somehow? It’s natural for all your followers to be sceptical of these claims given that this bed is made of materials that have been known to be dangerous for some time. We’re hyper vigilant of companies trying to pull a fast one by using buzzwords, so we need to be absolutely sure. I have visited the IntelliBED manufacturing facility and have inspected beds that were in various stages of production. Everybody I spoke with was completely open and ready to show me what they were working on, and nobody was wearing masks. I thought that was interesting so I commented on it, and they gave me an air quality meter to check things out. Not only was the VOC count extremely low – it was LOWER than when we measured in their administrative offices due to offgassing carpets and office furniture. I have spoken with the VP of Firegard, which makes the GreenGuard Gold (best rating possible) fiber used in their fireblocker and requested additional supporting documentation which I received. Hope that helps! Hi Heather – curious as to how the mattress is working for you now, and what you think about them using springs as the base support level. I’ve read a few articles claiming they are bad in terms of EMF waves. Did they address that at all? Thanks! Hi Katherine, I still love my mattress, and after saving up for quite awhile my husband and I are excited that this month we’ll be replacing our kids mattresses as well. Regarding the coils, I am not overly concerned because I take other steps to reduce EMF exposure. We don’t have wifi, but when we did we turned it off at night, plus we don’t keep a lot of electronic devices plugged in near our sleeping environment. It’s possible that those who are highly sensitive to EMF’s might do better with a different mattress, though. Heather, my hubby flops around all night, how is the 30 for motion isolation? Ha, I can relate! So here’s the deal: The 30 is not quite as good at isolating motion as memory foam, BUT my guess is that your husband will find he doesn’t need to toss and turn as much because of the way intelliBED cushions pressure points. So you might feel it a tiny bit when he does move, but he may move a lot less overall. Thank you SO much for doing all this research. I know it’s tedious and time-consuming, and it’s not something I enjoy doing! 🙂 So to be able to stumble upon this post when I was just beginning my research was a huge blessing. I just ordered our king-size bed and base over the phone, and I really appreciate the 10 percent discount for mentioning Mommypotamus. That saved me over $400! I hope you love yours as much as we love ours! After saving up for awhile we just bought both of our older kids intelliBEDs. We really love this company. Our beds our made out of pallets so we don’t use a box spring. Currently we have a memory foam which works on them. Does the intellibed NEED a box spring at all or is a solid base usable? Thanks! Hi! Since reading this, I’ve been searching for the right beds to for my little ones. I’m thinking of going for a natural latex slab, and putting a casing on it. What do you think of a tencel casing such as protect-a-bed? We have had our mattress now for 6 months and are still loving it! I am so glad we got rid of the memory foam and got this mattress. Thanks so much for the recommendation. I was wondering what type of sheets/duvet that you use or brands that you recommend? Bummer …. it won’t let me use the promo code in Canada 🙁 Is this correct? Or should it be working?? Have you researched car seats and which brands are safest regarding flame retardants? Has anyone ordered the crib mattress? I’m considering it for my son in utero but I’m trying to figure out what you do about a crib sheet since it’s so thin?! We have had our mattress now for 1 year and are still loving it! We are so glad we got rid of new memory foam mattress topper. Thanks so much for the recommendation. Eye opening article.. I never knew pillows can be toxic too. Non-toxic pillow seems such a healthy option to keep the body as much relaxed as possible during sleep. Great to know about weight shifting patterns during sleep! Keep posting on the same lines! We have our Intellibed on the way! I already received the mattress protector and a set of sheets, plus one pillow. I was told the mattress protector was a terry cotton and it is on the top side, the bottom side is a polyurethane. Did you and your family go with the mattress protector from Intellibed? What are your thoughts on the backside of the protector being polyurethane? Hi Heather, thank You for the information. I am going to buy a bed for my almost three years old baby girI. know you bought an intellibed four your babies, which one did you buy or would you suggest for my baby? Also what do you recommend for bedding and sheets? I want to create a nontoxic bedroom for my baby, thank you so much for your help, I really appreciate it!!! I prefer a real non-toxic more environmentally friendly bed – real rubber latex and organic wool and organic cotton. Wool works as a flame retardant. Try Lifekind – one of the best. Any thing else – I am sure is going to have problems in the future – the the chemicals in foam ones are the worst – know someone that swears that is what killed her unborn child. Hello,just wanted to ask do you know if there are any non toxic mattresses in England? Hi Heather, I want to buy one of this mattresses for my room and another one for my three years old, but I am concern of FMS, do you know of any other option? Hi Heather, I meant EMF. Are you still happy with your investment of your Intellibed? I’m 99% ready to order, but would like to hear a follow up from you now that you’ve owned it a while. Thank you! Would you get the motion dampening if you were to reorder one for yourself? The models had different names when we ordered (I think they consolidated some of their products to make the process more simple), but the mattress we have does have the motion dampening. I would definitely reorder it again. Though I feel more movement than I did with my old memory foam, it’s so comfortable that my husband doesn’t toss and turn as much as he used to. It ends up being about the same in terms of movement that I notice. I just bought saatva mattress and I am very unhappy with how uncomfortable it is! I am going to return it. I’m wondering if you bought the value version or the regular version of the intellibed. thanks! $3500 for a child’s mattress? I wish we lived in your care-free world. $100/year for 30 years you say? I’m sure any manufacturer in the world offers that pay plan. Get real lady. Hi Ralph, the children’s mattress I purchased for my children was $700. It was definitely an investment but in my opinion well worth the improvement it brought to my kids sleep. Not sure where you found the $3500 number! Could you share which mattress you purchased for your child that was $700? I need to purchase 3! Wow Ralph – are you getting your child a king size mattress? Wish we could all do that… others of us stick to the $700 twin size……That’s only $100/year for 7 years! Hi Heather, we want to purchase the regular queen bed, I know you purchase it. How is it? Did you order the motion damping or not? How is the Intellibed for temperature? I’m waking up with hot flashes that sometimes turn into chills now. Can this bed help ladies with this problem? Is the common recommendation to change your mattress every 8 years due to the dead skin and dust mites that accumulate? Did I miss where this mattress is ” immune” to this? I love your site. Could you provide more info on the fire retardant used by intelliBed? I’m updating the Safe Mattress Guide on my website (https://gimmethegoodstuff.org/safe-product-guides/mattresses), and would love to include this brand if they are Good Stuff:). Thanks as always for your valuable research! Just dug this out of moderation, sorry Maia! They use Firegard fabric, which is not sprayed with chemical fire retardants. I am looking to order a kids twin and California King, and crib mattress. Both bigger sizes with boxsprings. I was wondering with your kids twin size if the regular size twin headboard still fit okay with this because it is a little slimmer? Thanks! Have you tried a waterbed? I’m wondering how these would compare in regards to pressure relief. Thanks! My husband is at the end of the line with our mattress…I read your post and came back to take a look at this bed more closely. We want to order within the next few weeks. However, we live in Canada…..I guess Ill have to call them, but just taking a peek at pricing, I don’t understand what they mean about “intelliBED King” and “Value King” are they both intellibed? Thanks, Heather. You just got the basic, correct? It just threw me off because they only called one the IntelliBED and not the other. Thought maybe they had another line! Thanks heaps! Glad to help! I got the deluxe model. Hi Heather! My husband and I need a new mattress and we are looking at Intellibed as an option. I wanted to know how long you have had yours. I’ve had a hard time tracking down reviews by people who have had their bed for more than a few weeks, and I just wanted to see. Thanks in advance! Hi Julia, I have had mine for about a year and four months, I think. Still love it! Hi Heather, Did you get the bed frame as well? Does it require a bed frame? We are looking at the CalKing (to replace our old pillow top CalKing) and because we cosleep still with our 3 YO, we turn it sideways to gain the width-space. With a frame, I think it may be a little weird. Thanks! Hi, we are looking for an upgraded bed as well. I was concerned about the emf’s with the springs and the polyurethene/soy blend that they use. So I considered buying a mattress from white lotus homes to avoid emf’s in the coils then buying the topper from intellibed. But I don’t understand the reasoning behind using an organic cotton cover if you are using pu in the foam. Also, I wasn’t sure how I felt about the gel itself, it says it’s made with basically mineral oil (baby oil) which I would never use on my babies. That doesn’t mean it would be absorbed into our skin from the mattress itself as lathering on baby oil would, but wanted to get your thoughts on that as well. Love your blog. Thanks! Hi! I have been researching beds and am having a hard time deciding between the Essentia mattress and the intelibed. I have read a number of bad reviews for intelibed which is making me question it. Some have had to do with the customer service on trying to return the beds as well. Anyway, since their big difference is the gel, and the mattress below that is just a spring mattress, I am curious about the reason or benefit to buying the whole $4k mattress as opposed to just the gel topper for $1k. (King size prices). I haven’t been able to find reviews or more information to answer this question. Thanks! Lindsey, did you make a decision between intellibed and essentia? I am deciding between the two as well! Well, I researched for SO LONG and there are tons of companies out there with what sound like great mattresses. I finally had to make a decision bc our other mattress was gone. I actually ended up choosing a company called my green mattress bc I really loved their company. Mattress underground has tons of great reviews about them. I liked their prices and I felt more comfortable getting a spring mattress with a latex top. Just like the intellibed, I tend to think spring mattresses will offer good support and last a long time. But the latex should make it extra comfy and it’s all natural and/or organic. But a king for $2150 sounded good to me. We’ll try it for the 90 days and if we don’t love it we’ll return it. But I like that the topper is separate so it can be flipped and also can be changed out like if we end up wanting an intellibed topper later or something like that. Did you stay with your purchase? Comments? Curious about the latest updates on everyone’s selections, improvements, changes? Looking for the best, healthy options myself and my son. Thank you in advance! I have been researching this mattress because I am looking to upgrade to a non toxic king size bed. I have 2 small girls that like to sneak into mommy and daddy’s bed at night, so it is very important to me to purchase a mattress that will not harm them. I am saddened to see reviews about the intellibed that it is really is not safe and does not live up to their claims, but their marketing gimmick is to utilize so called health conscious bloggers to push their product. Great job marketers! Bad job bloggers! Guess the almighty dollar is the winner for the mommypotamus family. Hi Ab, before I address the concerns you mentioned, I want to clarify that I only recommend products that I personally use, support and/or would recommend without an affiliate link. In fact, when I was researching bed options last year I was offered a free natural bed by another company. I turned it down and purchased my own from intelliBED – at full price minus the 10% discount also extended to our community. Also, as you may have noticed, there are no third-party ads on Mommypotamus. Though adding them would help cover the costs of running the site (which continue to grow as more server bandwidth is needed), I would much rather support my mission by sharing products I believe in. I say this because I think a discussion on the merits of many types of mattresses is healthy and good and I want it to continue here, but I hope I will be given the benefit of the doubt regarding my reasons for sharing my recommendation. Simply put, I wrote about it because I felt it was the best choice I could make for my family. Regarding the concerns you have after reading through reviews – I’d love to hear about what they are specifically. I’m thinking about buying an Intellibed and getting rid of my Temperpedic (way too hot in the summer). Are you still happy with yours? Seems like either people love them or hate them! We are looking to purchase a king bed but was hoping to wait to replace my daughters bed until she is no longer in her crib (she’s only 1 now). Is there anything you can recommend I can do now to her standard crib mattress to make it safer? I just wish I had done this research a year ago! What about the high density foam in the mattress? I’m concerned about that being toxic, and also that it’s not really environmentally friendly. Hi Heather, that was a nice write up there. Choosing a good mattress nowadays is a real pain with the industry full of scams and crappy sleep products. I haven’t tried Intellibed yet, but it seems I should after reading this. Thanks for this. I read this post quite a while ago and similar posts from other bloggers I respect. I was about to order the Intellibed when the guy on the phone told me about the metal springs in the base. I know there is some concern about EMFs and the metal coils in mattresses. Is this an issue with Intellibed? Or do all mattresses have coils? I just wanted to get some information before I ordered. Thanks for all you do!! Hi Maggie! When I considering what to buy, I decided that the benefits outweighed the downsides in this case. Adding coils to the mattress offers benefits both in terms of supporting your body and extending the life of the bed (thus making your investment more worthwhile.) Instead of skipping the coils, I decided to take other steps to reduce EMF exposure instead. We don’t have wifi, but when we did we turned it off at night, plus we don’t keep a lot of electronic devices plugged in near our sleeping environment. It’s possible that those who are highly sensitive to EMF’s might do better with a different mattress, though. We just ordered our Intellibed and I have been sleeping wonderfully! Thank you for your recommendation! I was wondering if you used the mattress protector from Intellibed. It seems to have a smell to me, which I guess is from the polyurethane? Any thoughts about the protector being safe? Hi Tina, unfortunately all covers that fully protect from moisture have a thin polyurethane membrane. The one IntelliBED uses is one of the best options out there, though. Thanks Heather for your quick reply! I guess I also wasn’t that excited there was polyester in it as well. I had been looking at Naturepedic’s Waterproof protector with just organic cotton and was wondering if that was a better option? Also, I saw another well known blogger post that she couldn’t support Intellibed 100% because she had talked to the company about them using antimony. I would be surprised that Intellibed uses antimony, but I also respect her thorough research. Do you know anything about this? Thanks for helping me figure things out! I am grateful! The fire blocker IntelliBED uses is independently GreenGuard Gold certified for low-VOC emissions. GreenGuard tests for tens of thousands of VOC’s and gave IntelliBED’s fire blocker their highest rating. Arsenic is not a VOC, but I think the rating speaks to the lengths they have gone to in order to source the best available option. A few years ago I worked with Tony Stefani, a veteran firefighter to change flame retardant laws in California. Though it might sound odd for a firefighter to be trying to eliminate flame retardants, he became aware of how toxic they are in the course of his work, and also discovered they don’t actually slow down the burn rate of most fabrics. Although mattresses are also required by federal law to contain flame retardants (not just California law), what I learned while researching and working with Tony is that the regulations shaped by the cigarette industry sometimes make it very difficult to access non-toxic options. IntelliBED’s is one that I am very comfortable with, both for myself and my littles. Heather, I am very impressed by your thorough reply. It is evident that you are very knowledgeable and have taken the time to thoroughly research the issue. This means a lot to me as sometimes I feel that it is difficult to know if a product is truly safe and take someone else’s word for it. I am grateful for your kindness is answering my concerns. I am extremely careful in what I bring into my home and feel like this is a major financial decision that I can’t change my mind about later about. I am also looking into purchasing twin beds for my little ones and really want the best for them. I am pretty extreme and like the purest of pure and this is why I am struggling if I should go with the Intellibed or something that makes me feel safer, like a mattress from Soaring Heart. I am impressed with their company, but I just don’t know how latex/cotton/wool will hold up in the long run or be the proper back support that is needed. I obviously want good sleep and proper spinal support, but really want to feel that I have chosen the safest option. Can you give me any of your final remarks as I need to make a decision soon? When my husband and I first got married and invested in our ONE piece of new furniture – a brand-new memory foam bed – I couldn’t go in our room without feeling nauseous for quite awhile . . . even when the windows were open. My health declined rapidly that year, and although I don’t think it was all because of the bed, I certainly don’t think the bed helped. I’m SO GLAD there are so many non-toxic options available now, because there definitely weren’t when I started researching a replacement for ours. I LOVE my bed and feel just as good about my purchase 2+ years later as the day I wrote this review. I also have a good friend that purchased an organic mattress (not sure which brand) and then switched to an IntelliBED because of the lack of support. However, I also know of people who have purchased other non-toxic beds and love them, too! So my advice is to go with your gut. How might this be explained? One way to think of it might be to imagine clay as a magnet with lots of coins stuck to it, with a few of those coins representing lead. If the clay hold on to the lead while also attracting other unwanted compounds, then it would not be bioavailable. Instead, it would be beneficial because it would be drawing more unwanted stuff to it instead of releasing it. However, I haven’t come across any definitive information on this. In contrast, I have spoken at length with IntelliBED about their fire blocker and have received corroborating documentation from Fireguard that the antimony is tightly bound within the polymer and not released even with extreme use. Emergency room physicians probably have access to supporting data on activated charcoal that I don’t, but nevertheless I am confident in it’s safety despite the Prop 65 warning. Several practitioners I know use it successfully in their practice and I am convinced that it is useful based on their observations with their patients over time. My confidence in IntelliBED’s fire blocker comes from the testing that has been done on it, which showed that the antimony remained tightly sealed even with extreme use. In both cases there are things that gave me pause regarding these products, but after a lot of reading and consideration I embraced their presence in my home. It wasn’t a conclusion I came to lightly. Heather, it has truly been a pleasure having this conversation with you. I do appreciate you sharing your process in your own decision so that I can weigh it all as we decide what is best for us. I do have one last question. I do have a note from a doctor that I can request a mattress to be made without any fire retardants. Thus, I could also request this with Intellibed as I see noted in an above comment. Do you feel that a fire blocker is necessary and/or important for safety? I understand that the need for fire protection was ultimately the result of the cigarette industry. That’s a really interesting question. Given the choice between a mattress treated with conventional fire retardants and one that was completely untreated there’s no question I personally would go with the untreated. Based on the research I did when working with Tony Stefani (the veteran fireman I mentioned earlier), I’ve concluded that in addition to being highly toxic, many fire retardants are not all that effective. CNN actually published a video (found here) that showed two chairs that were submitted to a burn test. One contained “fire resistant” foam and one didn’t – both were virtually engulfed within four minutes. However, I personally chose to go with IntelliBED’s fire blocker and would do so again. IntelliBED provided me with a copy of their flammability tests (which were done by Intertek, an independent third party) and it’s clear that their fire blocker far exceeds industry standards in performance. In my opinion, there’s a clear upside to having it present because it actually does do its job well. Hope that helps! This is helpful to know your conclusion on the matter! So since it does it’s job well, you felt that having it there provided peace of mind in the event of a fire in the house when your kids would be sleeping? That would be the only reason in my mind to have it, but at the same time I wouldn’t think if there was a fire in house that my kids would be sound asleep on their mattresses. Can you clarify that upside that you mentioned for me? Again, your time on this matter has been so very valuable to me! In other words, fires that start in the bedroom are rare, but have higher mortality rates. For that reason, I feel more peace of mind having what I consider to be a very safe fire blocker (under normal or even extreme use) on my kids mattresses rather than an untreated mattress. Heather, Your time and personal research did help me make the decision to purchase Intellibeds for everyone in the family. We are excited to begin getting great sleep! Thank you also for the fire statistics as I did feel that your thoughts made much sense. Heather, Just to follow up on my last comment. What I have learned is that the new contour pillows are made out of a serene foam, which is different then the foam that is used in their mattresses and in their prior pillow models. This new serene foam in their new pillows makes me wonder if you would still recommend the pillows as the best option. Thanks for your time on this for me! I know this post is from a few years ago, but I used it as a starting point in researching healthy mattresses for my family. I took your recommendation and bought Intellibed mattresses for us all! Now I’m wondering if you use any kind of mattress cover on yours?? I bought the mattress protectors that Intellibed requires for their whole 60-day trial deal, but I’m concerned that I invested a lot of money in making sure my family is sleeping on healthy mattress only to render them UNhealthy with a cover. Yet, I feel that it’s important to have some kind of cover to protect the mattress from mold, mildew, bugs, fungus, etc. The cover from Intellibed is polyurethane covered with cotton and polyester. Any thoughts, or the secret to how you protect YOUR mattress? Thanks! I was wondering where you buy your towels from? Thank you ! I tried to find this in the comments, but there are so many I gave up and am just posting hoping for a quick answer, since there’s only a couple days left for the deal. How do you get the free pillows and sheets? It doesn’t say anything about it during checkout after putting in your code. And it appears that they’re still being charged full price. Does one need to buy an actual mattress in order to recieve the “gifts”? I was just just interested in a topper, so curious if that counts! ? Thanks for all your reasearch on this! Is it possible that the price of the twin mattresses you bough two years ago doubled in price? The cheapest twin I see is now $1400. Thanks! I would love to get one of these beds but the cost and my location cause a problem. I have to get a new bed up two sets of winding stairs in a 165 year old farmhouse. My old mattress a coil had to be folded in half and shoved through a window of second floor. Which did damage it. Now we are looking to replace that but are moving to our attic…. Any suggestions for a non-toxic mattress that can be rolled and won’t get moldy? I am very chemically sensitive myself and am reading mixed reviews on the out of box mattresses…. so nervous to make this purchase. Just a heads up….CertiPUR-US (the organization who says IntelliBed mattresses are non-toxic) was created by the chemical industry to certify (i.e. : green wash) their own products. Also, there is nothing non toxic about baby oil (the same material this mattress is made of)…it’s a petrochemical product. As is polyurethane foam. Even if you can’t smell it, these are still toxic materials. Hey Patrick, the foam IntelliBED uses is not treated with chemicals to make it behave like memory foam or make it more flame retardant. They use a green fire blocker (Firegard), and the rest of their materials are hypoallergenic, non-offgassing and Certi-Pur certified. I have actually been to their manufacturing facility (dropped in while I was nearby visiting) and the air quality on the manufacturing floor was lower in VOC’s than in their offices with conventional carpet, etc. Two years ago I purchased two Intellibed mattresses for my family. We LOVE them. I’m wanting to purchase a larger mattress for my son, so I recently went to Intellibed’s website. In two years their prices have more than doubled and they appear to be targeting a different audience. All their pictures of beds have adjustable bases. They also no longer make the crib mattress I had purchased. My two year old just needs a simple, non-toxic bed. Can you comment on the companies new beds and if you still believe this is still the best non-toxic mattress option for families? I am also interested in this answer. We are looking for a mattresses for the entire family and are planning on placing them on an adjustable base so any tips on those are welcome as well. Thank you! 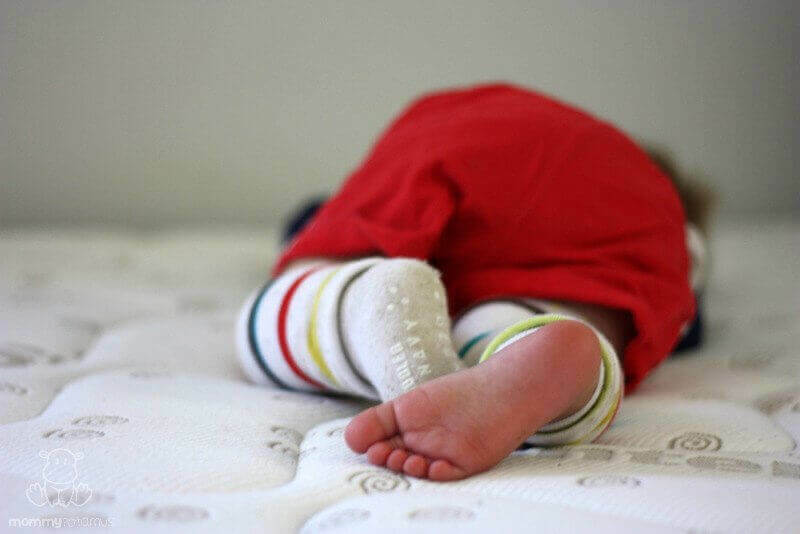 What non toxic mattress do you recommend buying your children? The Twin IntelliBed is still almost $3,000. Not in our budget right now. We currently have the plastic wrap on my sons bed but hate the noise when you move and it does not absorb moisture. We are preparing for the third child and will have to get two new twin mattresses so as you can see the IntelliBed is way out of our Budget. So grateful for your research and time spent replying to everyone. Would you be able to do a super quick update reply on Intellibed? I also noticed prices have doubled since 2014 and I’m looking for a king size so it’s rather expensive. Happy to pay if you think really worth it! Any thoughts on the Essentia brand of mattresses? How has this bed held up for you? I have a spine injury and we need a new bed. I’m having a hard time with the price, wondering if it has been worth it for you. Other than the Intelibed, which would be your 2nd choice for a mattress?? Intellibed is FAR from non-toxic. It is made with petro-chemical ingredients. It FOR SURE off gasses VOCs into the air and into your (and your children’s) bodies. The Certi-Pur certification is totally bogus… created by the foam industry! You owe your readers who are looking for a REALLY non-toxic mattress better information. I’m open to hearing how you came to that conclusion, but I’ve been to the Intellibed manufacturing facility and measured air quality using a meter. When I stood right next to all the freshly manufactured mattresses, the surrounding air was lower in VOC’s than inside the offices where all the typical VOC emitting furniture/carpet is. Hi Heather, which Intelli pillows would you recommend for a 8 yr old and use adults? Thanks ? Hi Pamela, I use and love their contour pillow. and Especially the review. I was wondering that Is it good for a pregnant lady? After posting a review elsewhere, mentioning my issues with Intellibed and that I first found our about them through your blog, they contacted me today and are attempting to make it right by replacing my bed. They said that I most likely got a lemon and they hope I will be happy with the replacement. I’m grateful and hope that I will be getting a good night’s sleep soon! I’ve been doing quite some research myself about natural mattresses because we currently have one from Ikea :(. I know, pretty terrible. I’m not sure what we should do since this one is pretty new. I doubt people still buy secondhand mattresses. Plus, I would probably have to save money for a long time to buy a natural one. I wonder if you can do monthly payments haha. Thank you for the resources and info, as well as the review! Will definitely come back to it!